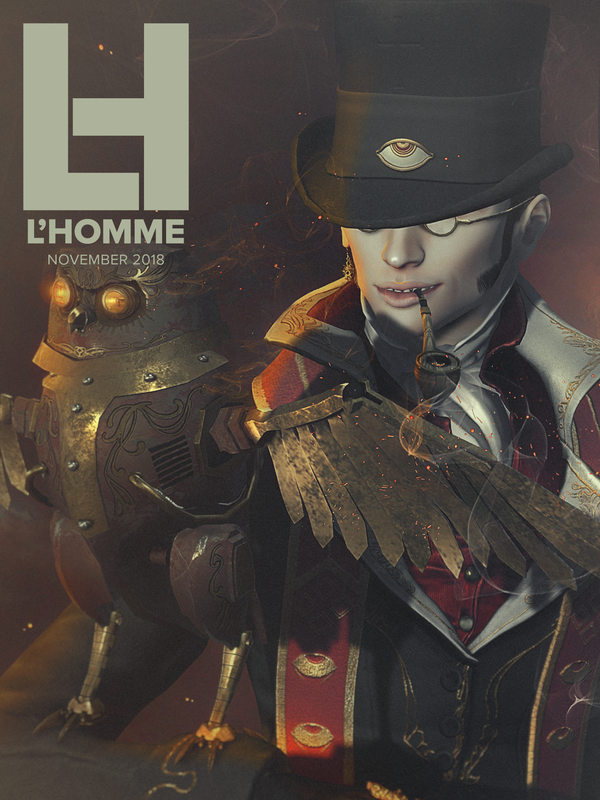 Moving into the tail end of an eventful year 2018, this November issue marks the beginning of the 5th year of L’Homme Magazine SL. I would like to express my gratitude to all our creators and designers, as well as my staff, photographers, stylists and models, many of whom have been with us since the first issue, and is very much the essence of L’Homme Magazine SL. On our cover, we have Walton F. Wainwright (Faust.Steamer) of [ContraptioN]. Inventor , engineer, creator, artist extraordinaire, he is the man who brought to life the myriad of wild creations imaginable that spans far beyond creatures of the dark , cheeky robots and quirky wandering birds, precious music boxes, and exquisite fashion products of romantic eras in the past. Discover the different lives the SL Man can indulge in from the imageries presented in the pages of this issue, and take charge of your own space and time to unleash your inner beast in our virtual world. In addition, we present you a photography showcase of the Top 8 winners of Neo-Japan Event September/October 2018 Photo Contest. Readers’ Group Gift — We hope you will enjoy visiting the participating stores and the gifts that our designers have specially prepared for you. L’Homme Magazine SL Fashion Show — This issue we invite you to our 5th Fashion Show, produced by MISS SL Agency, a prestige model agency. Show starts at 9AM SLT on Sunday, 11th November 2018. We hope to see you there! Previous Post No one can stop me……..